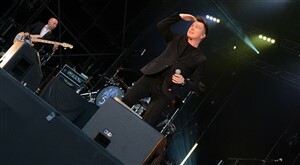 I headed back down to Westonbirt Arboretum to cover my second show for the long weekend Forestry Commission Forest Festival, without a doubt it was a show I could not miss, Rick Astley! Having always been a guilty pleasure for my music, for his 80's smash hit "Never Gonna Give You Up", hearing the song live would be something ticked off the wish list and I was not to be disappointed. 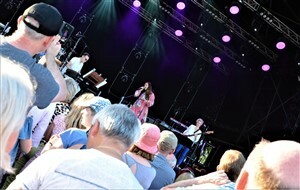 Supporting Rick for his headlining show tonight was Rumer a British singer–songwriter. Rumer has a beautiful voice; very much a Carpenters sound to hear singing, with a hint of blues and jazz swing, Rumer provide a easy listening to the night, along with her pianist and bass player, but I just personally think it was the wrong opening for the night, just needed that drumbeat or more of a up tempo, though her cover of Elton John's "Yellow Brick Road" was a highlight of the night. Next up was the mighty 80's legend and my musically guilty pleasure Rick Astley. 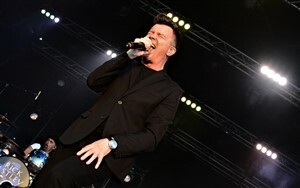 As his band made their way out to stage and took up their positions, the packed out Westonbirt crowd cheers got louder and louder, until Rick Astley made his way out, then the crowd just roared with excitement to which Rick and the band hit right into the first song of the night. 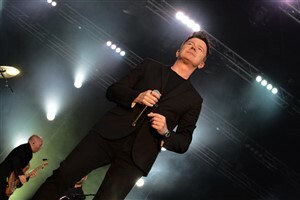 After releasing a successful comeback album titled 50, which hit number 1 on the album charts, Rick Astley along with the "Rick Rolled" YouTube videos, made his return to the stage, probably even stronger then it was back in the 80's. Along with that full force Rick, has got a brilliant band behind him, which he at various times during his set let each member wether that being, guitarist, bassist, drummer, pianist or backup singers take centre stage for a impromptu solo performance or too highlight their part within a song. Throughout his set he played a mix of his career hits, to not so well known songs, also songs off the new record, while also throwing in some surprises. The setlist comprised of Together Forever, Hold Me In Your Arms, Coming Home Tonight, Dance, Angels On My Side and a acoustic melody of Sailing, Sleeping and Superman. To keep up with things in the music industry Rick did his own take of Ed Sheeran's Shape of You, which was done spot on. Right before Rick ended the night, he said that to get down with the youth of today he had to mash up one his songs and mix it with a hit of today and that came in the form of Rihanna's We Found Love which he incorporated into Take Me to Your Heart, which was a highlight of the night. 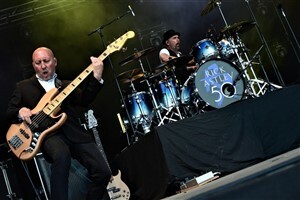 Throughout the night Rick just blew everyone away with his stage presence, while at times giving little stories from his career and life, before belting out his hits and that along with his band he nailed each and every single song they played with such perfection. Two of the biggest highlights of the night came in the form of his cover of AC/DC Highway to Hell, with himself playing the drums. Then his longer version of Never Gonna Give You Up, which for the first section had a solo sing-a-long with him and the crowd, to the last part of the song where he again got each band member to give a musically farewell in form of a solo to the crowd. 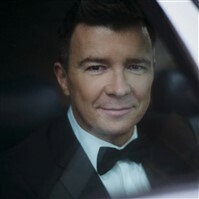 Rick Astley maybe 51 but he still moved and danced like it was the 80's and yet again proved that he is a true legend!